A Tufted Titmouse grabs a sunflower seed from a feeder in Danbury, Conn., summer 2016. Yes, yesterday was the last hummingbird photo in the series. This was the reaction of this Tufted Titmouse when it found out the news. But in all seriousness, I don’t typically feed birds in summer, mostly because by June all I’m getting are squirrels, chipmunks and House Finches. Every so often, though, I put some sunflowers seeds on a platform and see what will show up. It didn’t take long for the titmice, chickadees and nuthatches to show up. 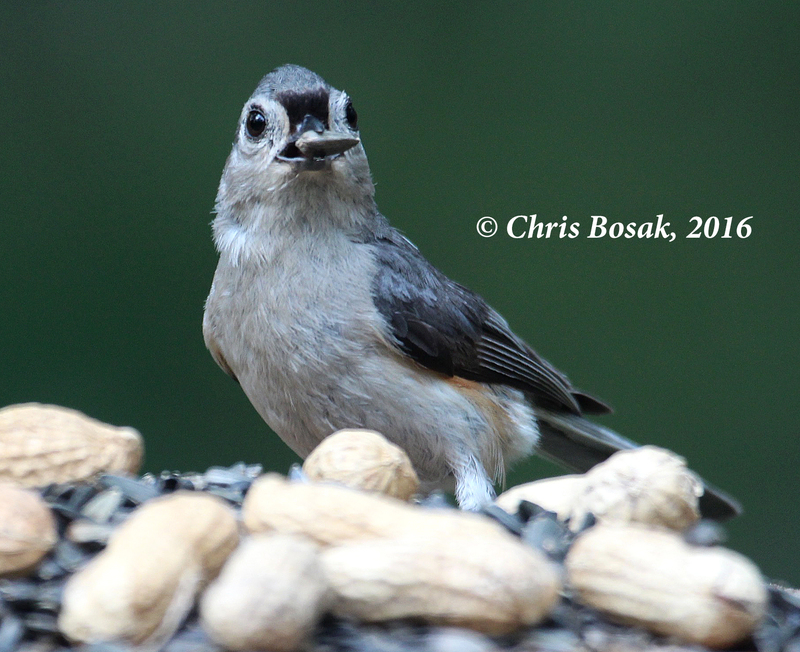 This entry was posted in backyard birding and tagged Chris Bosak bird photos, Tufted Titmouse by Chris Bosak. Bookmark the permalink.